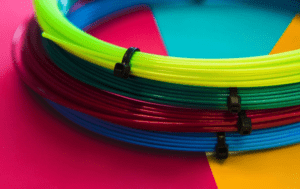 After listing my top ten tennis racquets right now, it felt only logical to also list my top ten tennis strings right now. This is not a conclusive list, but my favorite ten strings at the moment in various categories. If you think it is difficult to choose your tennis racquet, choosing your tennis string is not much easier. The variety of different strings, gut, poly, hybrid, multifilament, synthetic can easily be overwhelming. 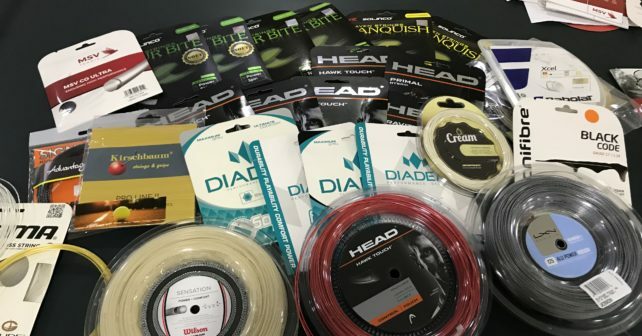 I hope my “Top Ten Tennis Strings Right Now” can guide you a bit on the way into finding a setup that works for your racquet and your game. 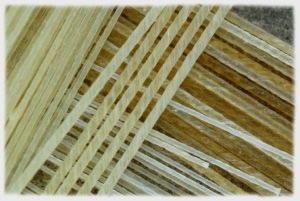 You can read more about different types of strings here. If you don’t have a full swing and don’t hit the ball in the center of the racquet on the majority of your shots, you might want to start looking at more comfortable and powerful strings. A lot of players use stiff strings strung at a high tension and ends up hurting their elbow or wrist. So let’s look at softer strings that are friendly to various players. It’s been around pretty much since the dawn of tennis and it is still used frequently today on the pro tour in hybrid setups. Natural gut is soft on the arm and holds tension exceptionally well. If you don’t play with a lot of spin on the ball, the feeling you get from playing with natural gut is second to none. There are some downsides though. The main one is that playing with natural gut is expensive. A set is usually around 50 euro/50 USD which is steep. But if you can afford it, it can be a great experience. Today it is mostly used as a hybrid with different poly strings. You can find natural gut from Babolat, Wilson, Luxilon etc. A top string if you want comfort and power. The price is high, but the playability is very good. You get a gut-like response and feel (not quite, but close) in a multifilament string. 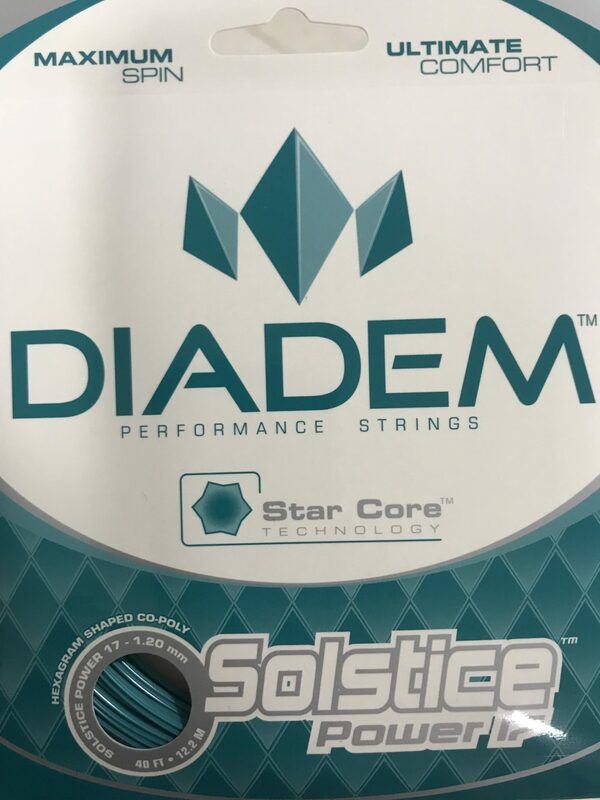 Definitely not a string for string breakers or players who crave control and spin, but for players who want a comfortable and powerful string, this one is top notch. A good one to hybrid a poly string with if you want more spin. Other comfortable strings to use in hybrids or play in a full bed: Prince Premier Touch , Wilson NXT . If you are looking for a bit more spin than the above options, but still good comfort, Volkl Cyclone Tour is a great choice. 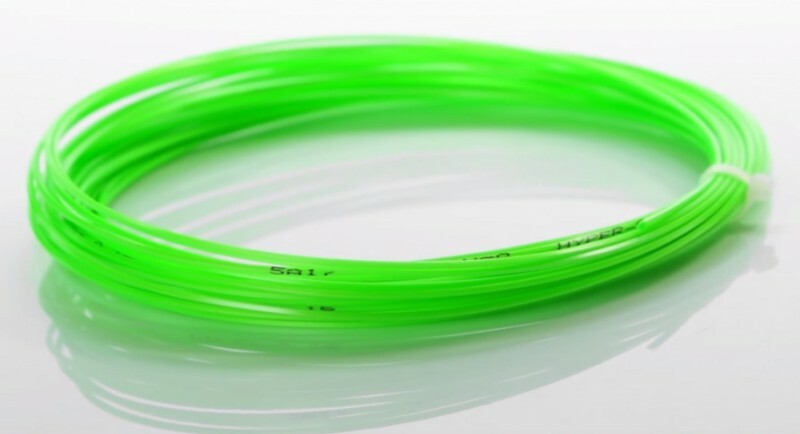 A twisted string with a shape that creates buckets of spin, but also offers a lot more power and comfort than its bigger brother, Volkl Cyclone. One of my favorite softer poly strings. 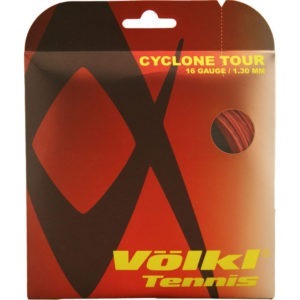 You get the spin and bite of the iconic Tour Bite string but in a more comfortable package. Durability and control are not quite as good as Tour Bite and other control polys, but if you want comfort and spin, this is one of the best strings on the market. 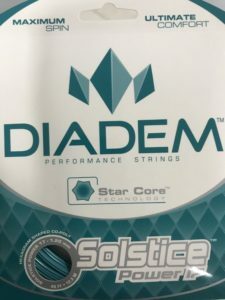 Young American company Diadem makes some nice strings and I also enjoy the Diadem Flash string, but the shaped Solstice Power is the one that paved the round for them. 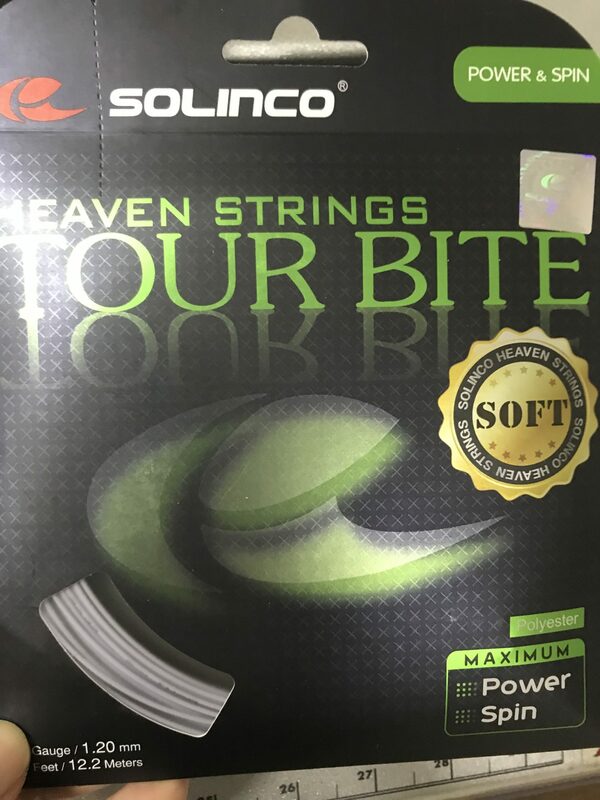 Really nice spin and comfort from this string, but as with Solinco Tour Bite Soft, the tension maintenance is not top notch. This is simply what happens when you want to create a softer string that still offers good spin. A softer and more spin-friendly version of Babolat RPM Blast . A bit softer and with better spin, but less control and durability than Blast. I think I could make this list Top 20 strings instead because there are a lot of good strings out there these days! But I will try to limit myself. Let’s start with the classic. 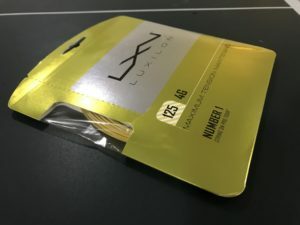 Luxilon changed the tennis world when they introduced Luxilon Alu Power Big Banger about 20 years ago. 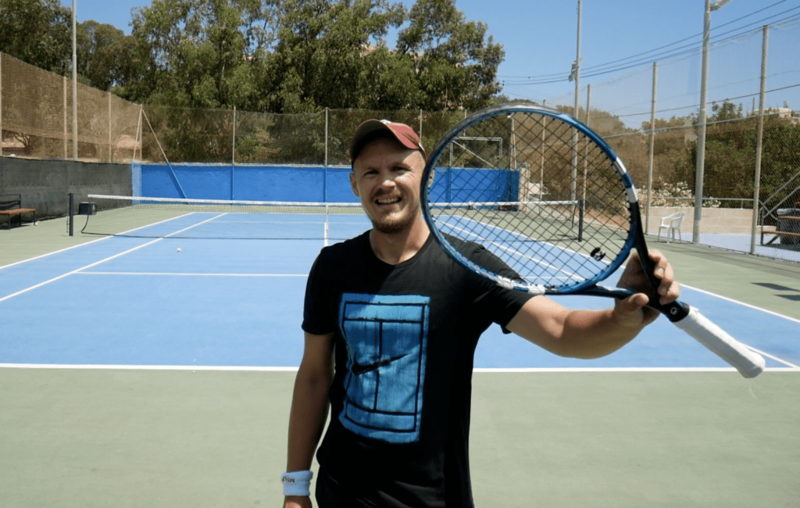 Guga Kuerten was the first famous player to use it and he did pretty well with it! Luxilon Alu Power in its many variations is still one of the most popular strings on the ATP tour and for a good reason. The level of control and feel that Alu Power provides is hard to beat. 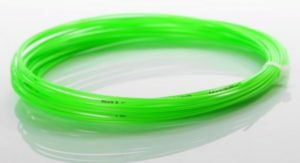 Not an arm-friendly string and not the harshest on the market, but if you want to soften it up you can always string it up as a hybrid with a softer string such as natural gut. Not as soft as the name says it is, but still softer than Luxilon 4G. 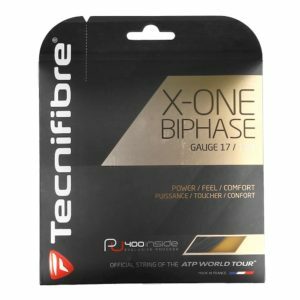 A great string if you’re looking for control! Good spin potential too. I would definitely choose the Soft version over standard 4G. Many string manufacturers have tried to copy the successful properties and performance of Alu Power and I think RS tennis came really close with RS Lyon. A little softer, significantly cheaper and just a solid control string option for many players! Used to be a go-to-string for me. MSV does make nice strings. They are one of the cheaper options on the market, but the playability and performance are not on a budget! I particularly enjoy their white MSV Focus Hex Ultra. A nice, crisp, spin-friendly and controlled but not harsh poly string. If you like a spin-friendly string with good feel, Hyper-G is one of the best ones on the market. You instantly recognize the color too! The feel is crisp and controlled and it really reward big swings. 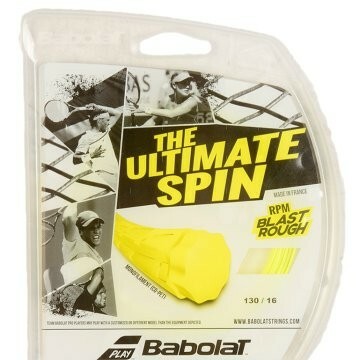 I like it in a softer racquet where I think the string helps make the racquet more balanced and less “mushy”. 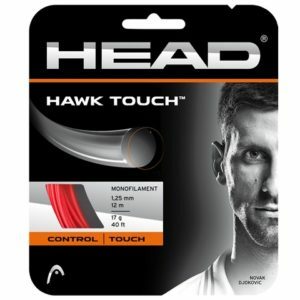 I wasn’t fantastically impressed by HEAD Hawk Touch the first time I played it, but after a few sessions, I realized it is a gem of a string. Soft, yet still control-oriented and spin-friendly. I like it best in a more open string pattern such as my 100 sq inch, 16×19 Babolat Soft Drives. Good luck on finding the right string for your racquet and keep working on your tennis game! I am a fan of 4G soft but never tried Hyper G with my own racket. They seem to be in same category but can you compare what similar and difference between them. thanks. Yep, Signum Pro strings are truly outstanding, and they also have the best tension maintenance i’ve seen. My favorite is Firestorm. Xperience is good too. Yes, Signum Pro make some good strings! They have about the same stiffness, 4G Soft plays with a little more control and Hyper-G with a bit more spin. Hi Jonas, very informative post as always. I am using Alu Power 125 at 50 lbs at the moment, and I like it a lot. I used RPM Blast for a while, but elbow hurt a bit, and it felt too stiff and mute (and I didn’t like the Rough version); I liked Hyper G, but Alu Power feels and hits better. 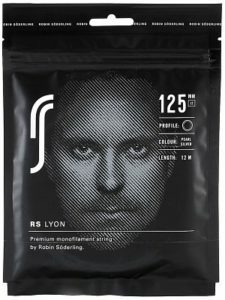 My trainer strongly recommends Alu Power Rough, better feeling and softer on the arm he says, have you tried it, what do you think? I am thinking about 50 or 48 lbs, I am getting old for high tensions… (41 this year). Thanks! Alu Power Rough is a nice string. I am not sure it is much softer on the arm than Alu Power – they have pretty much the exact same stiffness. If you like Alu Power I am not sure why you should change. I like both myself, I think they play quite close. A bit better control with Alu Power and a bit better spin with Alu Power Rough. Hi Jonas – What string would you personally use in a Blade 98 18×20 CV (I know you hate CV, but hypothetical :))? Also, what exactly do you mean by a “soft” racquet? Hate is a strong word, just preferred earlier iterations of the Blade. I like it with Luxilon 4G Soft or Alu Power at 22 kg. I use the word “soft” when a racquet has a low stiffness rating. So “flexible” would be more correct. What are your thoughts on All Power Soft? I really like that string! But I also like Lyon. They play quite similar so either one will be a fine choice in your Textreme Tour! Very informative as always ? 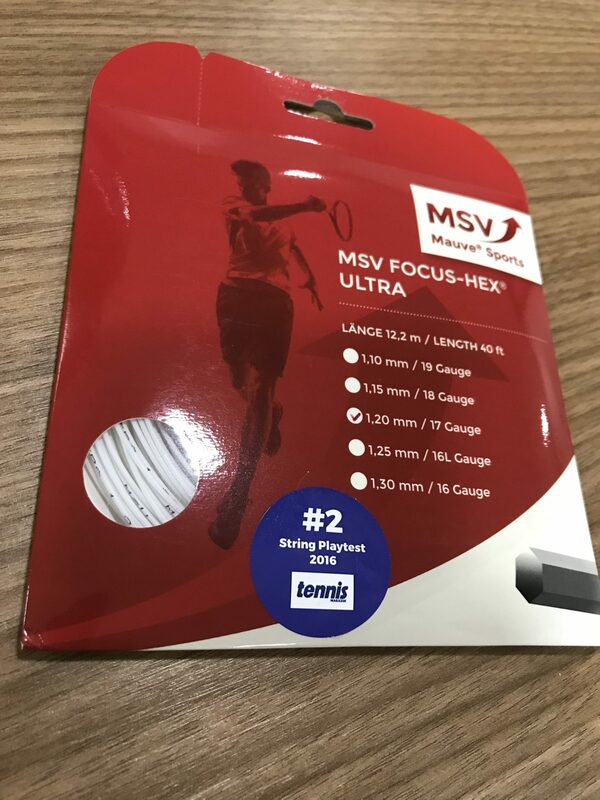 Did you find any strings especially working good for Angell racquets? In particular TC 97 and TC 100 16×19. I don’t think they are very string sensitive, but I always like a softer control poly in these racquets. 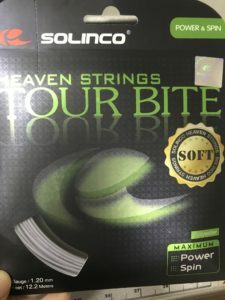 Try a Solinco Tour Bite Soft or a Luxilon 4G Soft for the TC 97 (Alu Power is also good) at around 22-23 kg. For the 100 sq inch racquets, I usually bump up the tension to 24-25 kg. HEAD Hawk Touch or Solinco Hyper-G should play nice in the TC 100.